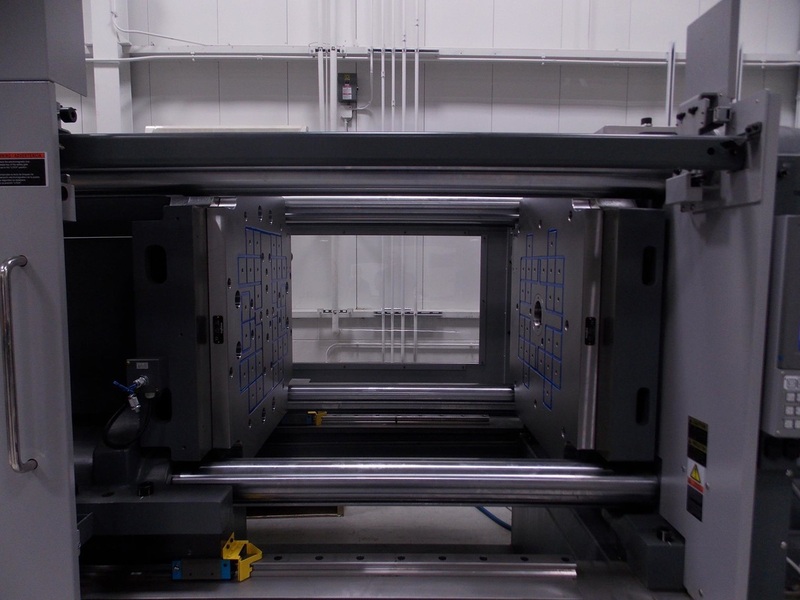 magbo is the product for quick mold change in injection mold presses, quick die change for stamping presses, and quick mold change for the die casting industry. The electro-perm system does not use power once energized so a loss of power does not cause a loss of holding force. The technology, a safe and reliable magnetic circuit, is widely used on work holding, material handling, and mold / die clamping. 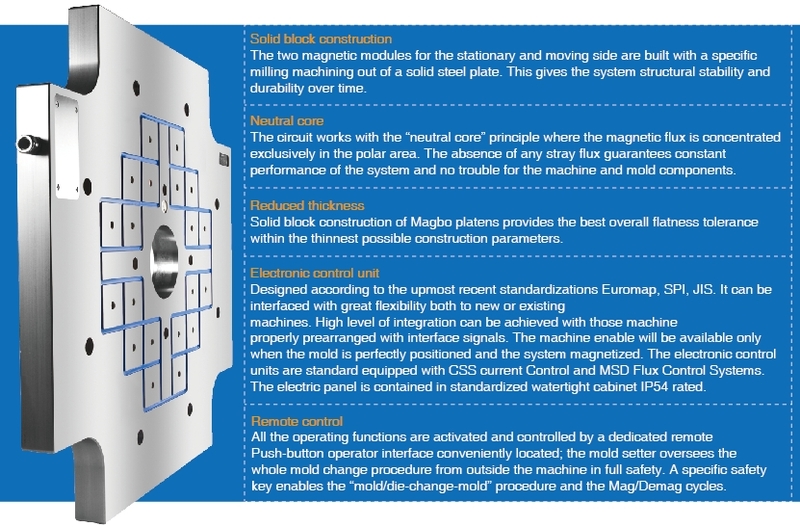 The advanced double magnet circuit is composed of square poles machined into a solid block of steel. Each pole generates a constant, uniform and predefined force regardless of who turns the system on. This force is proportional to the number of poles in contact with the die surface. The magnets do not magnetize the entire mold / die, the magnetic flux penetrates the die only 20mm deep. The mold / die face and part cannot become magnetized, allowing for scrap removal, and proper die operation without interference. In a few seconds with the simple press of a button, it is possible to clamp or unclamp the mold / die in complete safety. Even during a power failure, the system remains operative, with constant clamping force. Would you Like a quote on a Quick Mold Change System ?